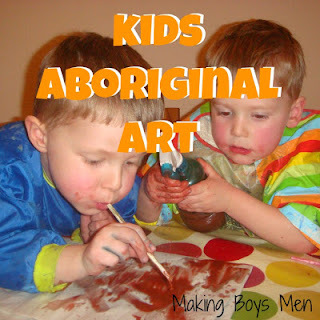 Making Boys Men has some great paint techniques for Exploring Aboriginal Art with your kids. 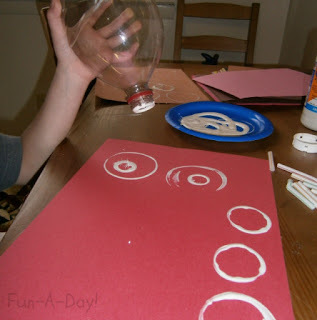 Fun-A-Day explores everyday items with paint in Circle Painting. 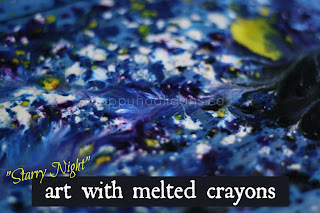 Happy Hooligans introduces a new way to make awesome Art with Melted Crayons. 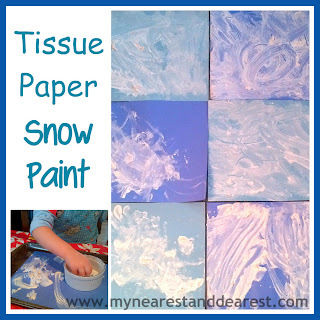 My Nearest and Dearest made a lovely sensory experience with Tissue Paper Snow Paint. For more great features like No Bake Kid's Truffles, Maths Fun, and Marshmallow Themed Activities visit my fellow Librarians: True Aim Education, Hey Mommy, Chocolate Milk, and Chicken Babies.